1-1400 Scale. 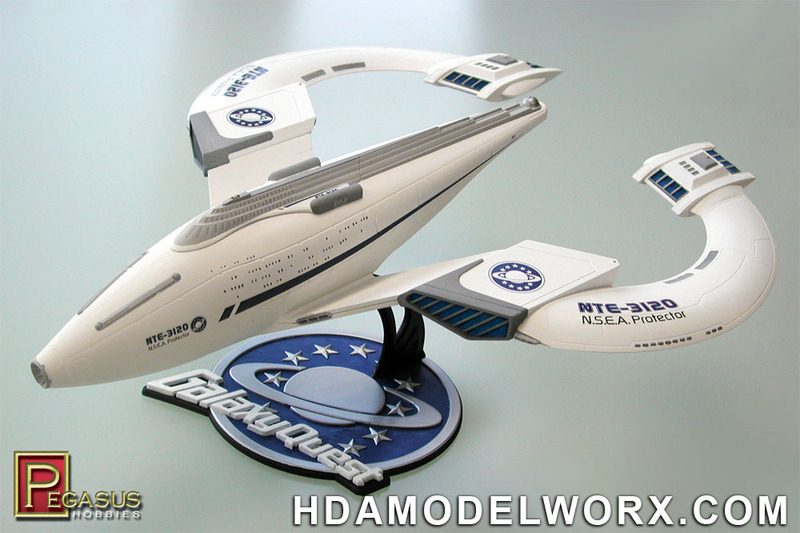 The ship featured in Galaxy Quest from Pegasus Hobbies. The kit will be about 12.5 inches in length. 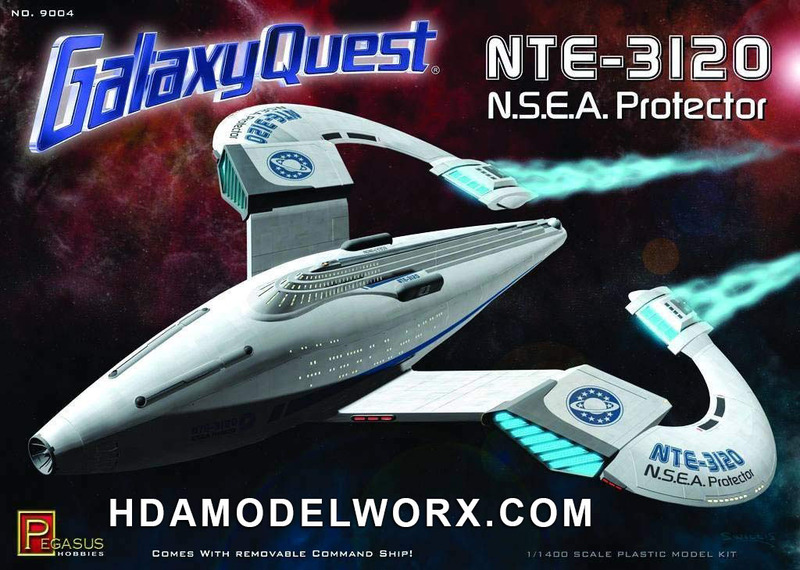 The kit comes with a nice base featuring the Galaxy Quest logo, along with clear blue parts for lighting. Skill level 2. Kit includes: (1) Protector spaceship in 40 pieces with clear parts and logo display stand.